SYNNEX is focused on providing reseller partners with the resources, programs, and product knowledge needed to maximize their Microsoft business. SYNNEX’ dedicated business development representatives, product managers, and program managers are experts in assisting resellers with delivering the best solutions to their clients, while increasing their profitability. In addition, SYNNEX has an extensive list of tools and resources developed to further resellers’ success in selling Microsoft. 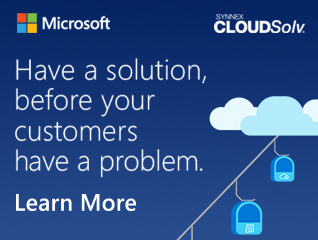 Please click on the below to learn what resources are available to you from SYNNEX and Microsoft.